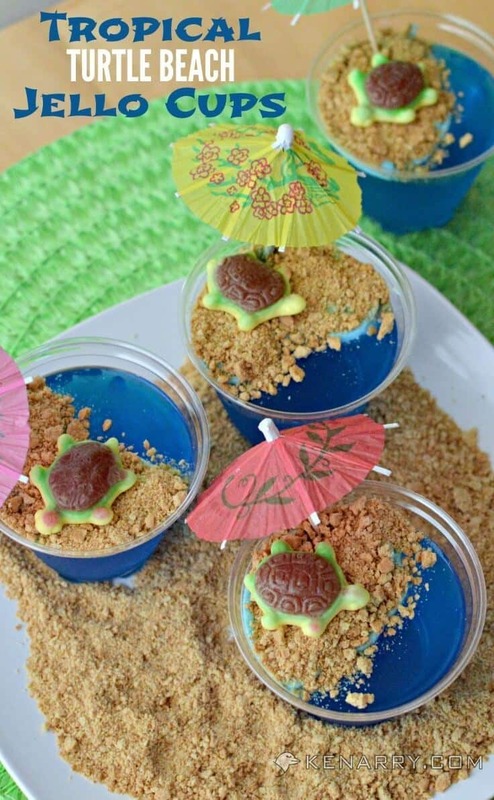 Tropical turtles on a sandy graham cracker beach in these cute and fun blue raspberry Jello cups for kids. 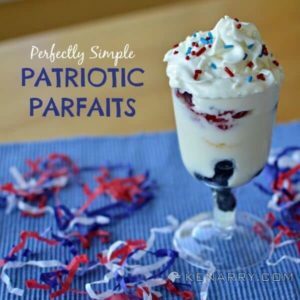 They’re a fun dessert idea for a summer parties. 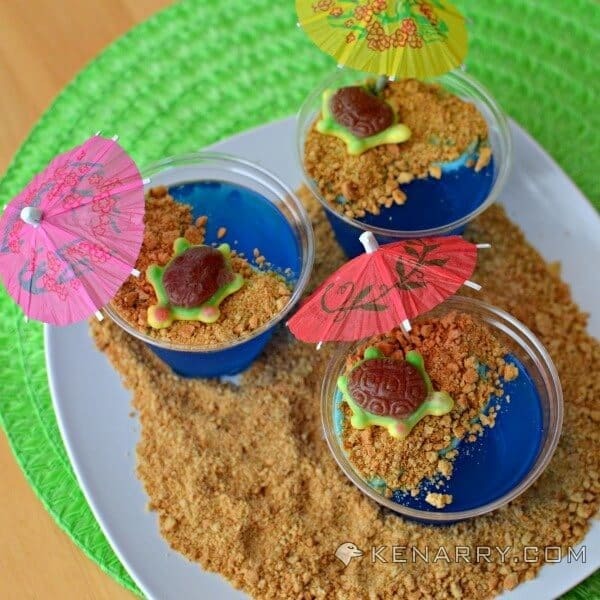 ropical turtles bask on a sandy graham cracker beach in these adorable and fun blue raspberry Jello cups for kids. 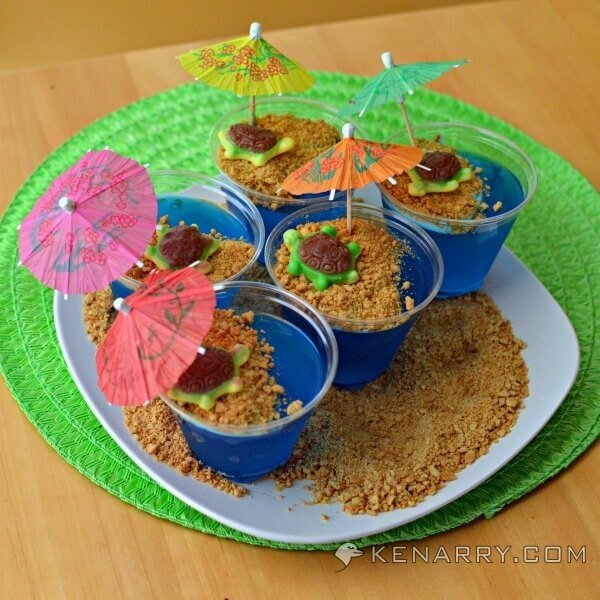 As summer winds down with the end of season barbecues and picnics, these Tropical Turtle Beach Jello Cups are a fun dessert idea your kids will love. They’re incredibly easy to make too, even with little helpers. 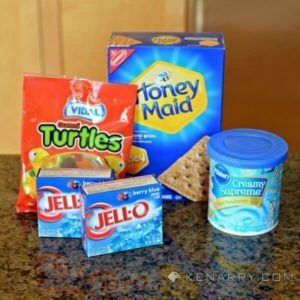 Back in June, I shared Tropical Turtle Beach Jello Cups with the readers of Kleinworth & Co as a fun dessert idea for a family-friendly summer soiree or pool party. 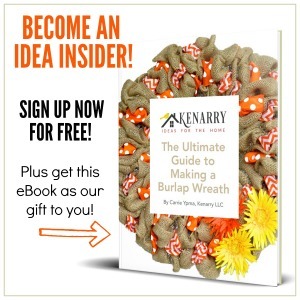 Today, I’d like to share the idea with you, our Kenarry readers, just in time for the Labor Day weekend and your end-of-summer parties. Jello is a mainstay at many summer gatherings. Doesn’t the saying go, “there’s always room for J-E-L-L-O”? At any summer potluck, you’re likely to find Jello salad, finger Jello, and all kinds of other ways it’s served. Why not make it fun? Your family or party guests will love these single-sized blue raspberry jello cups decorated to look like turtles basking on a hot beach. , but it may be a seasonal item. Alternately, white frosting with blue food coloring would work if your grocery store doesn’t carry the blue raspberry frosting. As you can see from the pictures, we used plastic cups so our dessert would be kid-friendly, but I think they’d look amazing in martini glasses for an adult gathering. Here is the supear easy to follow tutorial. After you make this once, you’ll be a pro! 1. Prepare the Jello. 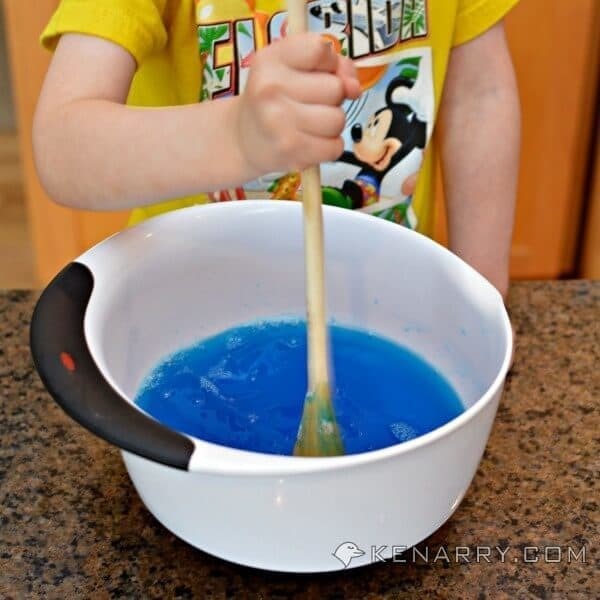 In a medium-sized mixing bowl, combine the blue raspberry jello powder with hot water, per the instructions on the box. Stir until the granules have dissolved. Then mix in the cold water as instructed on the box. 2. 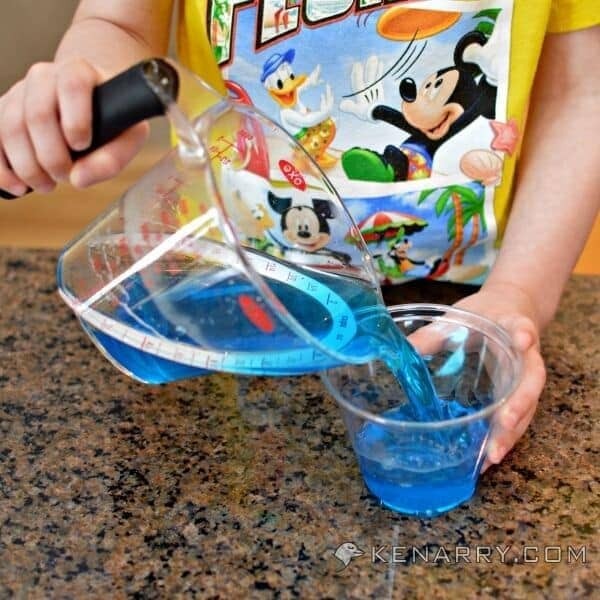 Pour the Jello into clear cups. Divide the Jello evenly between 5-6 plastic cups. We used 3/4 cup of Jello to fill five blue raspberry Jello cups. Next time, I would reduce it a little so we could fill six cups instead. 3. Refrigerate the Jello. Let the blue raspberry Jello cups sit in the refrigerator for 4-6 hours until they’re completely set. 4. Crush the graham crackers. 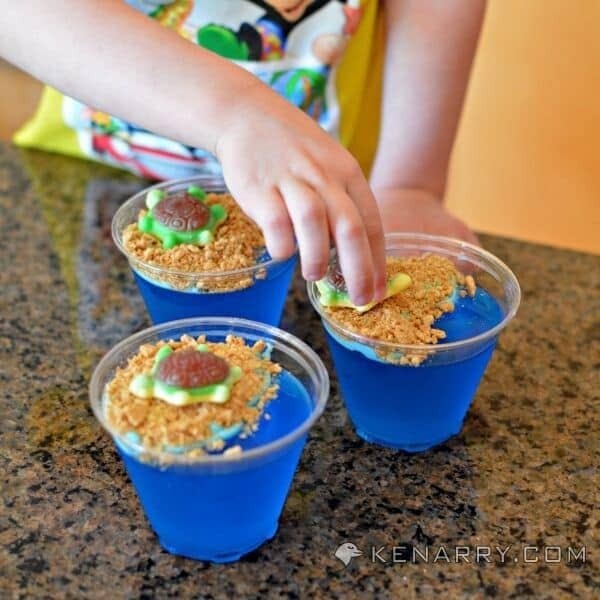 While the Jello cups are setting, you can crush the graham crackers to make sand for the Tropical Turtle Beach. 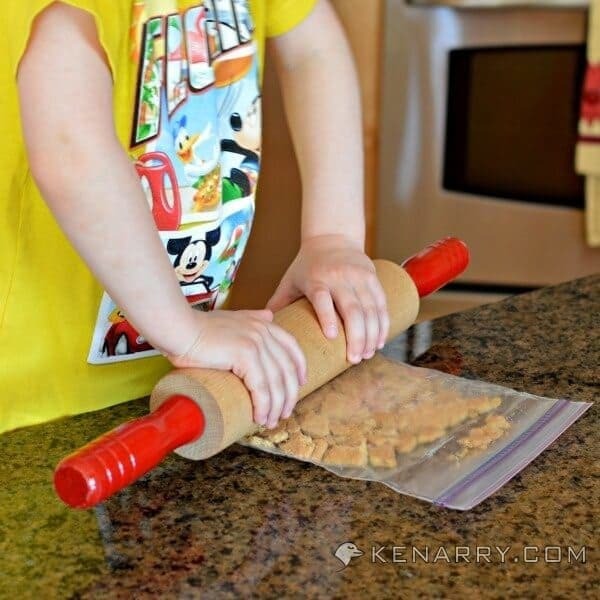 We put ours in a resealable plastic bag and used a rolling pin to crush them until they were very fine. 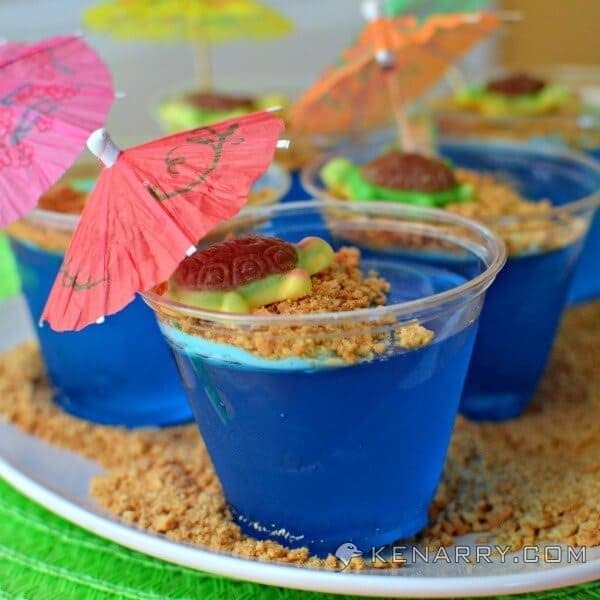 You only need to crush about 3-4 graham crackers for the blue raspberry Jello cups. Crush a few extra graham crackers if you want to display the Jello cups nestled in “sand” like we did. 5. Frost the Jello cups. Once the Jello cups are completely solidified, you’re ready to decorate them. Frosting helps the graham cracker “sand” stick to the blue raspberry Jello cups. I used a disposable decorating bag and frosting tip so I could have better control over where I placed the frosting. The top of the Jello is fairly slippery so it would have been challenging to frost them with a knife. If you don’t have a disposable decorating bag and frosting tip, try improvising by putting the frosting in a resealable plastic bag. 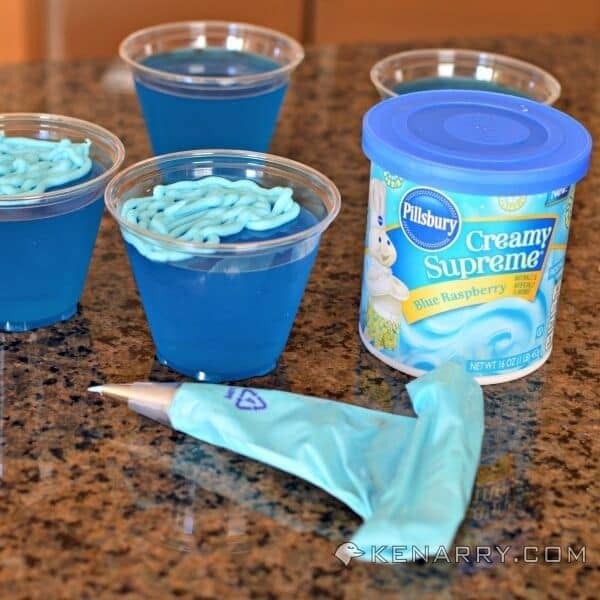 You can cut off the corner of the bag with scissors and use that to decorate the blue raspberry Jello cups. As you decorate the Jello cups, only put frosting where you want the sandy island beach. You want to leave the blue raspberry Jello exposed to look like water. Remember it doesn’t have to be pretty since you’re going to cover the frosting with graham cracker. 6. Add graham cracker crumbs and gummy turtles. 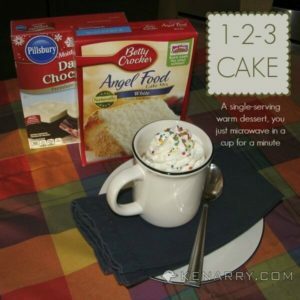 Carefully sprinkle graham cracker crumbs over the frosting until the frosting is covered. I had my four-year-old helper watch during this part as I wanted to avoid getting any graham cracker crumbs on the “water”. He was delighted, though, when I let him place the gummy turtles on the graham cracker beach. so your tropical turtles don’t get sunburned on the beach. 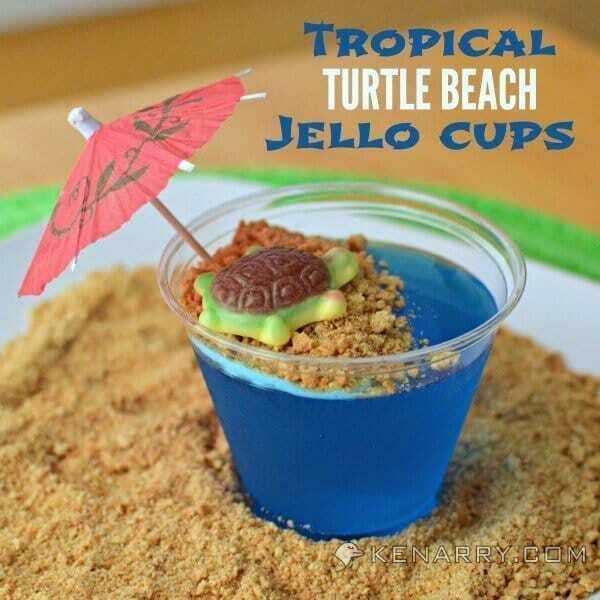 The Tropical Turtle Beach Jello Cups can be decorated a few hours before you serve them. If it’s going to be any longer, though, you should just add the frosting. I would suggest waiting until you’re ready to serve before you put the graham cracker “sand” on the beach. Otherwise, the graham cracker may absorb moisture from the blue raspberry Jello cups and get soggy. Originally published August 2014. Updated August 2018. How cute! And perfect for a pool party or BBQ. Thanks, Trish! Glad you liked the idea. So glad you stopped by. Hi Mandee, thank you so much for stopping by and for the invite to your party. I just headed over to check it out and link up. What a beautiful blog! I’ll be back. 🙂 Have a great week! Hello from Pretty Pintastic. This is a great idea. Fun and kid friendly. One of our favorite family activities is making desserts together. What a special thing to do with your family, Erica! Something to do together AND to eat — that’s a win/win! Thanks for stopping by. Such a clever idea! My little niece and nephew would love this! Thanks for linking up with us at Foodie Fridays!! Thanks, Michelle. They were as much fun to make as they were to eat! What a great idea and what an awesome result, these look absolutely cute!!! I just want to say thanks SO MUCH for sharing this! I appreciated you giving the exact details about what to buy, it was really helpful. So I made them this weekend for a BBQ party and they were a total hit! They disappeared from the tray so fast that guests couldn’t even take a picture of them!!! Oh my goodness, Amy! You just made my day. I’m so thrilled to hear you made this idea for your recent BBQ party and that it was such a big hit with your guests. I’m even more thrilled you took the time to come back and tell me about it too. Thank you so much!